If you’re not sure what you are seeing in this picture, you’re seeing a homeless person under some blankets sleeping in an entryway on some cardboard. This picture is significant to me because it reminds me of how few homeless people I saw on this Road Trip, not how many. While the number of people I saw begging on the street in Spain and Morocco was simply overwhelming, the number I saw sleeping on the street was very, very small. I have to say that I’m an early riser. 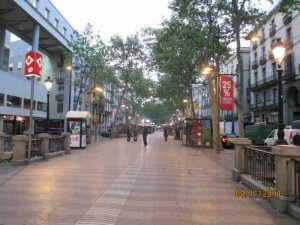 I like to !–more–> get up and walk around a city when there are few people out and about. That means that I usually spot a lot of homeless people if there are any and I happen to be in the area where they tend to stay. I see far, far more homeless in America than I did in Europe. I’m not sure what the reasons are for my observation. There could be many. But, in the end, I think that we all choose where we sleep and people are homeless not because they have to be but because they make the choice to do so. There have been times when I have not slept where I wanted to sleep, but in the end, the choice was mine. I can tell you this much – if I didn’t like where I was sleeping I was always able to change it, and usually sooner than later. 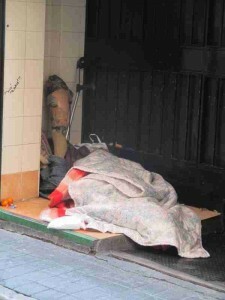 This entry was posted in Travel and tagged Europe, Homeless, Spain on June 10, 2014 by Steve. 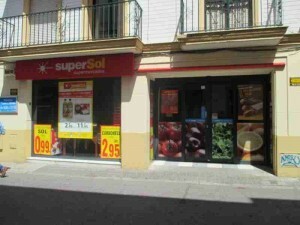 While I found Spain to be expensive, I didn’t find everything about Spain to be expensive. The bakeries were cheap. I could get some really tasty treat for less than a dollar. The croissants and baguettes could be found for a quarter, cheese was cheap, beer could be found for fifty to eighty cents a can, and the wine was very tasty at $1 a liter. Yes, I know the price says 0,75 but that’s in euros. The actual price is more like $1.03 a liter for red or white. Vintage? Did I hear you ask about the year and the vintage? C’mon man. Who’s willing to give a rat sass when the vino is that cheap? Cop a buzz and feel good about it. 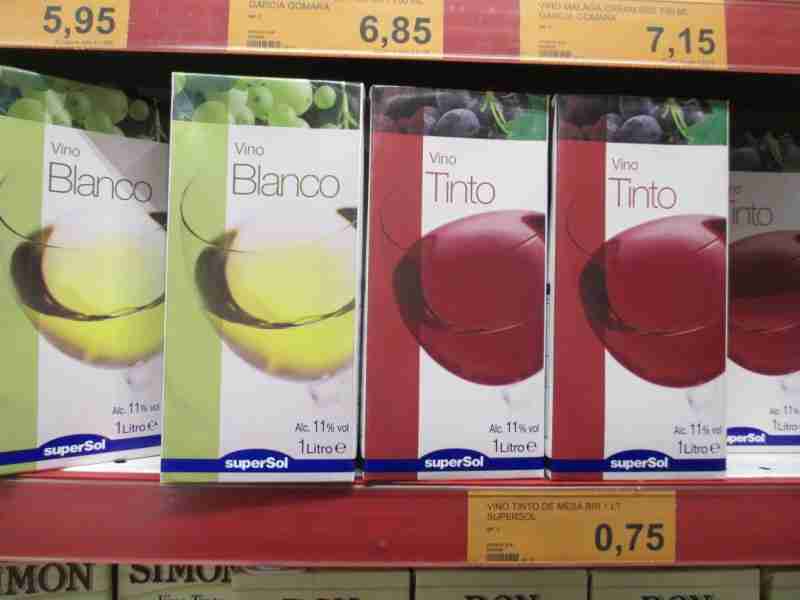 This entry was posted in Travel and tagged Europe, Spain, Wine on June 9, 2014 by Steve. 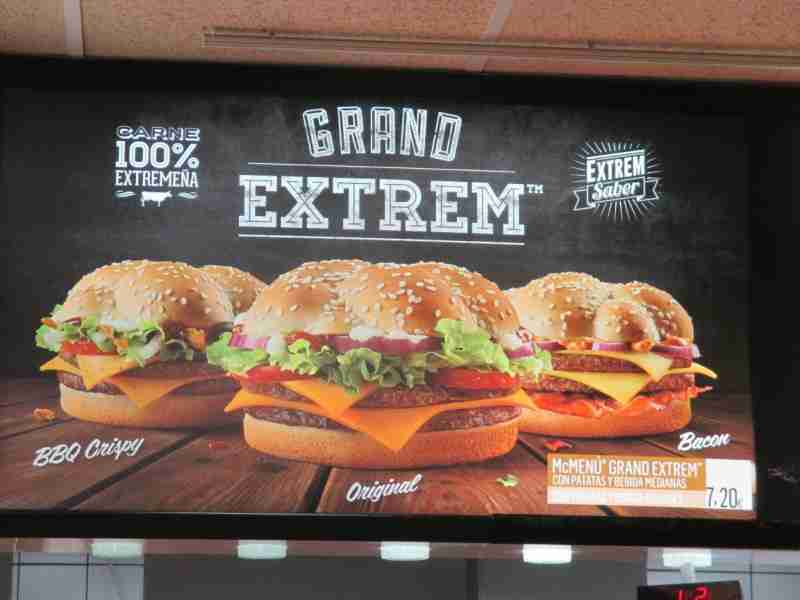 This entry was posted in Travel and tagged Europe, Hamburger, McDonald, Spain on June 9, 2014 by Steve. 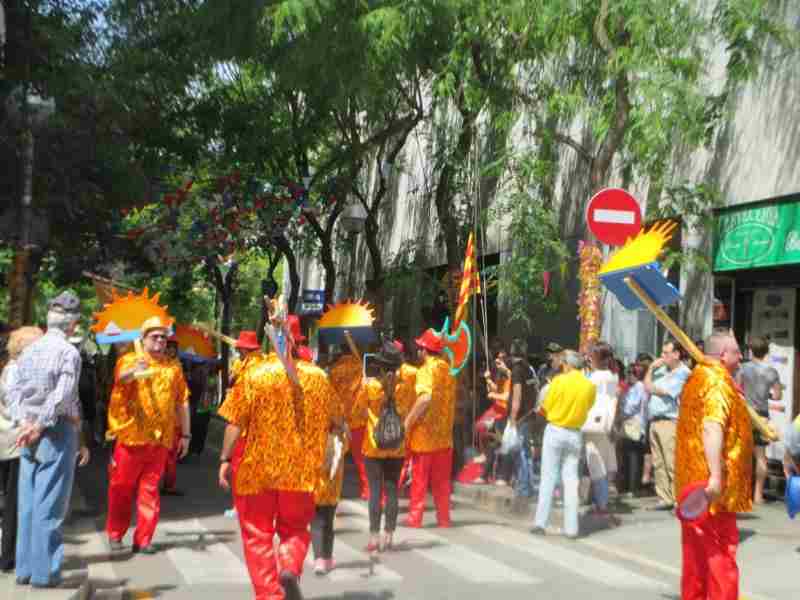 This entry was posted in Uncategorized and tagged Barceloneta, Festival, Spain on June 8, 2014 by Steve. It’s the mixture of two cultures and the embodiment of none. There is not another place like it in the world as far as I know. 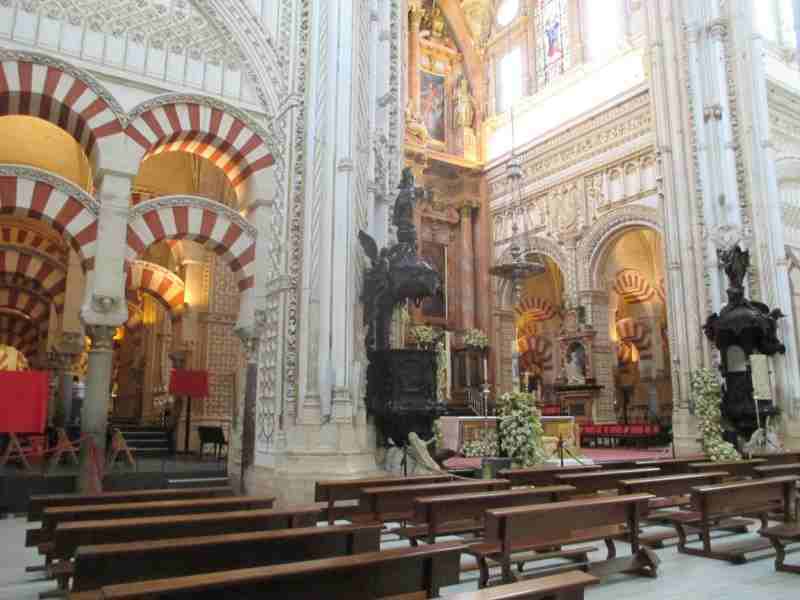 It’ a mosque that someone turned into a Christian church. Many people felt that the mosque was butchered and the church was never really built. Some people can’t accept the melding of the two cultures, the two lifestyles, the two traditions, and the two religions. I think the place is special. I think the place is unique and uniqueness is one of the things I look for when I travel. I’m glad I got to see it again. It’s truly one of the great religious structures to be found in the world. This entry was posted in Travel and tagged Altar, Cordoba, Mezquita, Spain on May 21, 2014 by Steve. 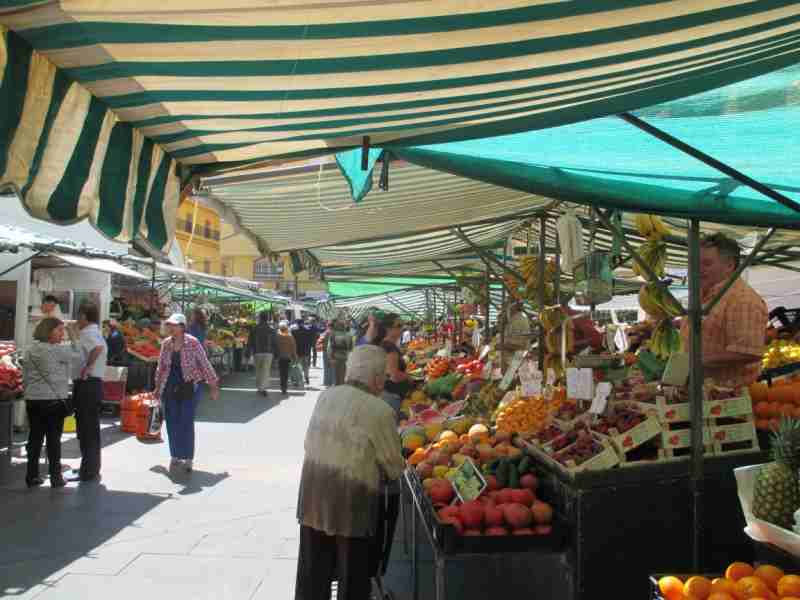 This entry was posted in Travel and tagged Europe, Holy Week, Market, Semena Santa, Seville, Spain on May 19, 2014 by Steve. This entry was posted in Travel and tagged Barcelona, Europe, La Rambla, Spain on May 16, 2014 by Steve. 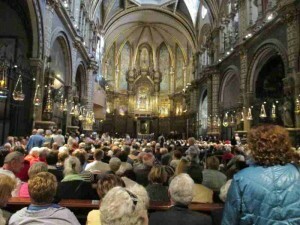 This entry was posted in Uncategorized and tagged Barcelona, Europe, Mass, Montserrat, Spain on May 15, 2014 by Steve. I’m not real fond of the structure. It’s because I don’t see a lot in it that I like. People’s perspective on what they like and don’t like can be so persnickety. Mine especially. I don’t like it because the the people who worked there weren’t friendly. They were actually a little rude as far as I was concerned. The tickets are $25 or more. You can’t get any information outside of the structure. I’d call it a church but they only hold a Mass inside the main structure “by invitation only” on “special occasions” and those special occurrences may or may not include Easter and Christmas. What kind of a Catholic church doesn’t allow regular folks in for Mass? 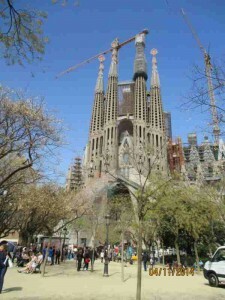 Yes, it’s a great structure, but I think it’s more of building that happens to be a tourist attraction than a church. 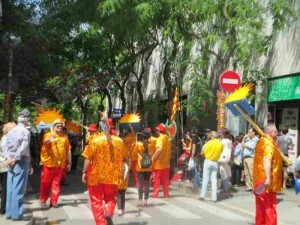 But, it is Barcelona’s #1 tourist attraction, outside of Barcelona itself. This entry was posted in Travel and tagged Barcelona, Europe, Sagrada Familia, Spain on May 14, 2014 by Steve. 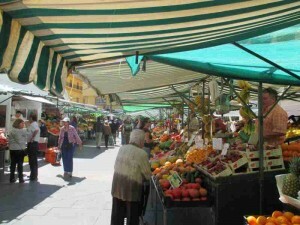 This entry was posted in Travel and tagged Algeciras, Europe, Food, Market, Spain on April 30, 2014 by Steve.